Viva Decor CLEAR MAGIC TRANSPARENT Perfect Pearl Pen at Simon Says STAMP! 30074 or 162597/1.4 This item is on reserve until If you would like to reserve this item now, you may purchase it now with the rest of your order. We will hold your order now and ship your entire order as soon as this item is back into stock. If you would like your order to ship now, please place this item on a separate order. 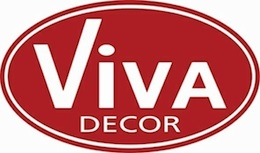 Success, Viva Decor CLEAR MAGIC TRANSPARENT Perfect Pearl Pen has been shared! Viva Colour Magic Transparent Perfect Pearl Pen. Create permanent, perfectly round dimensional transparent beads that can be used on fabric, paper, wood, plastic and virtually all surfaces. Create fine lines with non clogging applicator tip. Color fast, water based, non toxic. Cool water washable. Do not place in dryer or use heat gun to dry. Best used on dark colored surfaces. One tube is approx .85 oz (25 ml). Label may be different than what is pictured.